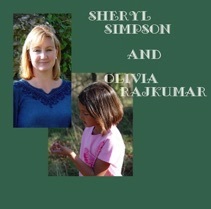 When mama Sherry and sister Olivia came to pick up Sam in Summer, 2007, they, too, had lists of songs to record - but only about five days to do them. Sherry and I used to perform as a country/folk duo, and had been doing Easy From Now On since Emmy Lou Harris first came out with it in 1978. So that one was no problem. We had also been singing Darcy Farrow for over twenty years, so an arrangement for that was quickly come by. Olivia was much tougher: She had picked three songs by Taylor Swift, and there was no time to develop arrangements for those. The solution? We used Taylor’s originals, and Olivia sang along with them. By the way, Taylor Swift was relatively unknown then, but has become a sensation in the past year. Her eponymous first album was number one on the charts for eight weeks this past year, and her second is hovering at the top, with the first still hanging in the top 50. So if you’re handicapping the Billboard Top 100, you should definitely talk to Olivia! UPDATE, November, 2014: Seven years have passed, Olivia is now 16, and she’s been working on her music. Her dedication and resulting progress are amazing. Listen to the 3 recordings of "Olivia at 16." 2 were made in my studio in France, and the third , Military Man, was made in Olivia’s California studio, which she set up in August, 2014.